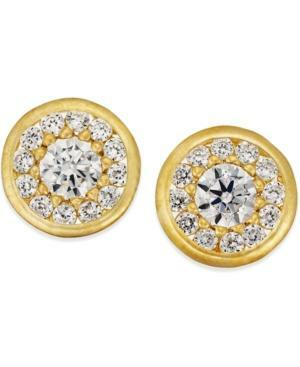 Punctuate your everyday style with these radiant cubic zirconia stud earrings. Crafted in 10k gold. Approximate diameter: 1/3 inch.